Ladies DB leather shoe. Sizes 36-42 no half size. 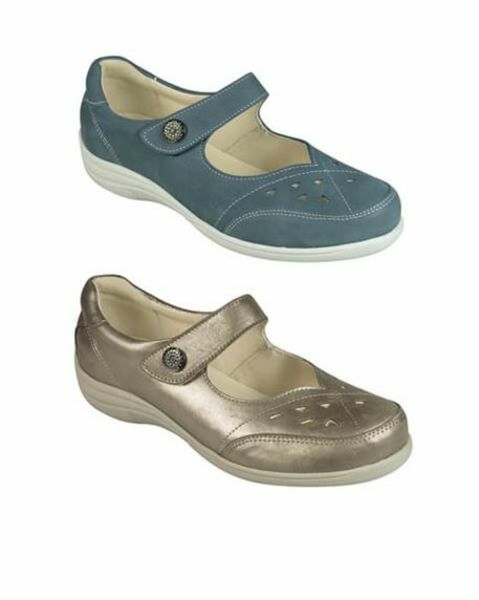 Ladies lightweight and comfortable soft leather shoe from DB with single Velcro fastening. Removable leather inner provides sizes E-3E in one shoe with an extra deep toe box..